ACM SIGGRAPH is pleased to announce Lillian Schwartz as the recipient of the 2015 Distinguished Artist Award for Lifetime Achievement in Digital Art. Lillian is best known for her pioneering work in the use of computers in art including graphics, film, video, animation, special effects, virtual reality and multimedia and computer-aided analysis of art and architecture. The Distinguished Artist Award for Lifetime Achievement in Digital Art is awarded annually, one of five awards to recognize exceptional achievements in computer graphics and interactive techniques. The awards are presented at the annual SIGGRAPH conference, which is attended by thousands of people every year. Previous winners include Harold Cohen, Manfred Mohr and Charles Csuri. Through her groundbreaking work, Schwartz helped to establish computer art as a viable field of endeavor. Her computer art career began as an offshoot of her merger of art and technology. Her kinetic sculpture, Proxima Centauri, exhibited in 1968, was the first in this medium to be acquired by The Museum of Modern Art in New York. Originally a student of Chinese brushwork in the late 1940s in Japan, Schwartz later studied Fine Art in the USA. She always had a keen interest in the combination of art with technology and science. 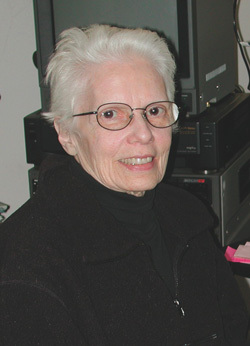 Her very early pioneering work in computer art took place in the 1970s at AT&T Bell Laboratories, IBM’s Thomas J. Watson Research Laboratory and at Lucent Technologies Bell Labs Innovations. Working in a team of creative researchers, she developed effective techniques of motion-graphics-based film and video art that could be viewed in both 2D and 3D. Additionally, Lillian has contributed to scientific research areas such as visual and color perception and sound, making an impact on the philosophy and history of art. In an investigation of the creative process itself, she devised databases to analyze the aesthetic choices of artists such as Picasso and Matisse regarding color palettes, structures of paintings, and so on. Schwartz’s contributions to electronic art analysis and restoration have been recognized specifically in relation to Italian Renaissance painting and fresco, working with colleagues to construct 3D models. This includes the Refectory at Santa Maria Grazie to study the perspective construction of Leonardo’s Last Supper and, more recently, a finite element model of the Leaning Tower of Pisa to understand its structure and aid in its preservation. Such efforts have proved invaluable to art historians and restorers. Lillian’s work has been exhibited throughout the world and is held in both private and public collections. She has represented the United States as guest lecturer in over two dozen countries, from the Royal College of Art in London to the People’s Republic of China. Schwartz has had numerous fellowships and honors conferred upon her, and retains close ties to the academic community. Most recently, she received Computerworld Smithsonian Awards in three categories. She has exhibited and won awards at the Venice Biennale, Zagreb, Cannes, The National Academy of Television Arts and Sciences, and has received Emmy nominations and an award in the 1980s. Lillian’s 1992 book, “The Computer Artists Handbook,” influenced the subsequent generation of computer artists. She has been the subject of numerous articles, books and television news and documentary programs. She is a Fellow in The World Academy of Art & Science. 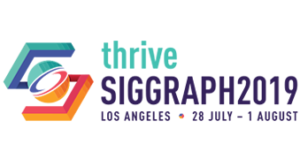 ACM SIGGRAPH is honored to recognize Lillian Schwartz as an important pioneer in the incubation and practice of computer and digital arts, art analysis and the field of virtual reality. Photo of Lillian F. Schwartz taken by unknown photographer at Bell Telephone Laboratories, Murray Hill, New Jersey.